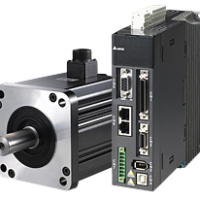 With its innovative and cutting-edge servo drive design, the ASDA-M series gives a new definition to servo system by achieving the perfect combination of motion controller and servo system. The development of the ASDA-M series follows in the footsteps of the successful ASDA-A2 series and offers high resolution, high frequency response, a built-in electronic cam (E-Cam), function of auto notch filter, vibration and resonance suppression, full-closed loop control, friction compensation and a more flexible position register control PR mode. 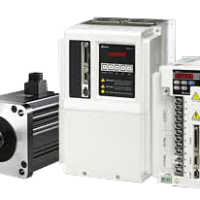 The ASDA-M series also features many robust functions and an advanced design that meets a variety of applications for all types of industrial automation machines. 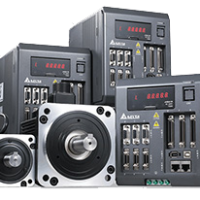 The ASDA-M series adopts a design that allows three axes to sufficiently share PN power with output power and regenerated power. 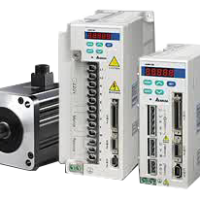 Less power loss can be achieved through DC bus voltage changes without additional communication links. 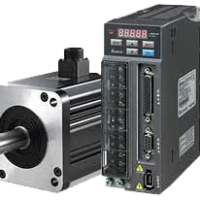 Compared to general servo systems this 3-in-1 design also reduces the input from the grid with effective energy saving, benefits/cost reduction and reliability enhancement. 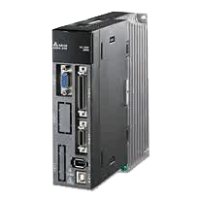 In addition, connecting to DMCNET, CANopen and RS-485 communication enables the system to integrate with various extension digital input and output modules and other automation more efficiently. 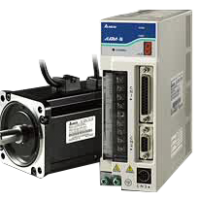 The ASDA-M series has surpassed the traditional servo system structure and provides a new concept for a real-time and reliable motion control network that satisfies the market requirements of industrial automation for a changing world.